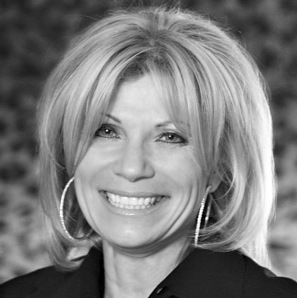 Mercy Ministries News: Follow Producer Deborah Giarratana on Twitter and Help Raise Thousands For Mercy! Follow Producer Deborah Giarratana on Twitter and Help Raise Thousands For Mercy! Finances might be tight for many during these economic times, especially around the holidays, but now you can help raise thousands of dollars for Mercy Ministries and all it will cost you is one click! Amazing Mercy supporter, Deborah Giarratana (@DeborahGGFilmz), decided to do something extraordinary to help raise awareness and funds for Mercy. She will donate $10 to Mercy for every one new follower she gets on Twitter between now and the end of the year!!! Deborah is a producer and film business manager for Sony Pictures Imageworks and recently produced THE MACHINE GUN PREACHER, starring Gerard Butler, with Marc Forster directing. Please follow @DeborahGGFilmz, then tell your friends, tweet about it, Facebook it and help us raise thousands of dollars to help more hurting young women have healing, freedom and hope for the future! It couldn’t be any easier to show your support. One simple click equals ten dollars! - JUST THINK – IF YOU SIGNED UP, THEN GOT TEN OTHERS TO SIGN UP AND THEY GOT TEN MORE TO SIGN UP, THAT’S $1,000 FOR MERCY! We cannot thank Deborah and all of her soon-to-be followers enough for taking this simple but powerful step to help hurting young girls have their lives transformed. The program is always free for every girl who comes to Mercy, and it is because of supporters like you and @DeborahGGFilmz! For more information about Deborah Giarratana and GG Filmz, go to www.ggfilmz.com. Florida State Basketball Team Visits Mercy! Merry Christmas From Mercy Ministries! 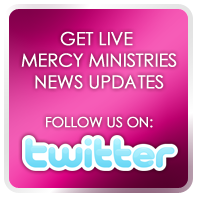 Mercy Multiplied –New Drive-Time Slot In 2012! Three More Amazing Young Women Choose Life!! !